C2TN researchers contribute to the 2nd Edition of the Book "Mulheres na Ciência"
On March 8, "Ciência Viva" celebrated Women's Day with the publication of the second edition of the book "Mulheres na Ciência" (http://www.cienciaviva.pt/mulheresnaciencia/), which brings together 109 testimonies of female researchers, in Portugal. Fernanda Margaça and Marta Almeida, researchers of C2TN, are two of the faces present in this edition. Pedro Vaz, Researcher of C2TN, is now member of the Editorial Board of the "Radiation physics and chemistry (ELSEVIER)" as Associate Editor in Radiation Physics. More information at Journal website. The authenticity of a painting, stained glass or coin can be revealed by a machine that accelerates particles that trigger a radiation that exposes the chemical composition of paints, glass or metals and dates them at an era. CERN-MEDICIS is a spin-off dedicated to R&D in life sciences and medical applications. Relying on the expertise and technology developed at the ISOLDE radioactive ion beam laboratory, at CERN, impinging high-energy (1.4 GeV) proton beams on specific target materials, innovative medical radioisotopes are produced and extracted as ion beams to be separated using an offline mass separator.In this way, highly pure and carrier-free radioisotopes can then be produced, which might be useful for fundamental, pre-clinical and early phase clinical studies, namely in cancer research. Last Tuesday (13th December), CERN-MEDICIS produced the first batch of radioisotopes, namely Tb-155 using a Ta foils primary target (check links below). Tb-155 is a gamma emitter potentially relevant for the detection of prostate cancer; moreover, being also an Auger-electron emitter, Tb-155 can also be envisaged for cancer therapy. The first batch of collected Tb-155 was then shipped to the Radiopharmaceutical Sciences group of C2TN, where it will be studied under the framework of the project “MEDICIS-produced radioisotope beams for medicine” (Medicis-Promed). Medicis-Promed is a Marie Skłodowska-Curie action leaded by CERN, which integrates the C2TN researchers António Paulo e António Pereira Gonçalves who supervise the PhD students Alice d’Onofrio and Sanjib Chowdhury, respectively. The high impact journal Dalton Transactions from the Royal Society of Chemistry, which covers all aspects of inorganic and organometallic chemistry, including biological inorganic chemistry, has newly published the themed issue Frontiers in Radionuclide Imaging and Therapy, A chemical journey from naturally radioactive elements to targeted theranostic agents dedicated to the contributions of our colleague Isabel Santos to the advancement of science in the field of radiopharmaceutical chemistry on the occasion of her recent retirement. 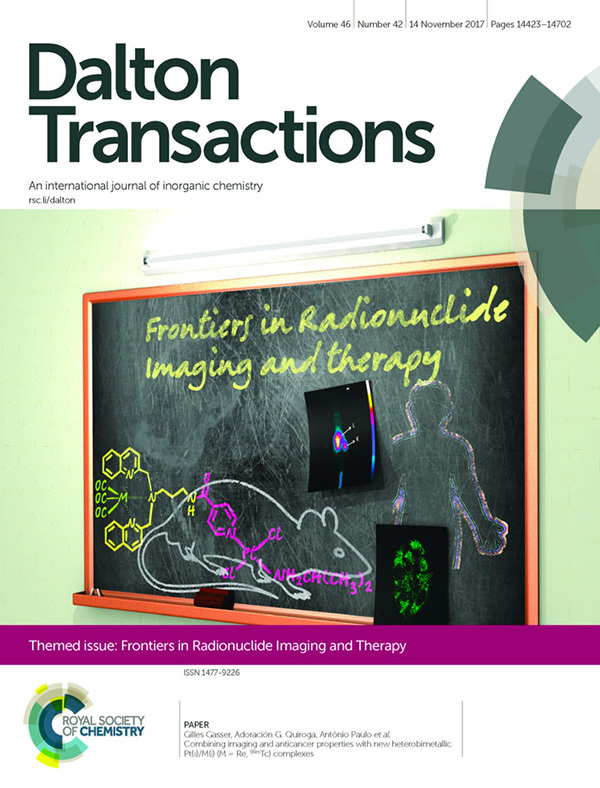 This special issue guest-edited by our colleague João D. G. Correia and Professors Angela Casini and Chris Orvig from the Universities of Cardif and British Columbia, respectively, covers various relevant aspects of the use of radionuclides in biomedical/clinical applications. Apart from Isabel´s outstanding contributions to the inorganic chemistry community, the fact that she was the first President of the Centre for Nuclear Sciences and Technology (C2TN) is highlighted. Moreover, it is also emphasised that Isabel pioneered in Europe a move towards inclusion of women in science and has been a role model for many of her female students, co-workers and international collaborators. Congratulations and thank you Isabel. REMEDIO stands for REgenerating mixed-use MED urban communities congested by traffic through Innovative low carbon mobility sOlutions. The project aims at fostering the use of available low carbon transport systems and solutions through the testing of an operational path in the governance and management of high congested roads, a common issue for many middle-sized Mediterranean cities lacking of proper orbital roads or bypasses. REMEDIO gather institutional partners, as Municipalities and public agency for public transportation or environmental protection, and scientific institutions from 5 different MED countries. One of the territorial challenges for middle sized cities and towns in the Mediterranean area is traffic congestion; REMEDIO focuses on high density areas surrounding the city centers with commercial and directional roads often suffering from traffic jam to the point of becoming wounds in the connectivity of the wide spread city and elements of additional economic crisis and even social exclusion. REMEDIO is a Testing project funded by Interreg MED Program through the European Regional Developed Fund (ERDF) and is developed in 3 steps. 2. Scientific partners jointly implement an Integrated Modelling Tool to assess the present and future scenarios road performance in terms of energy and freight transport efficiency, noise impact, air pollution, cost & health effects. 3. The city communities are engaged in testing an operational path towards participatory governance such as “horizontal condominiums” or “road contracts” that should lead to higher environmental and mobility performances. ClimACT is a 1.37 M€ project approved within the Low Carbon Economy priority area of the Interreg Sudoe program. The project aims at promoting the transnational cooperation to solve common problems from the Southwest Europe region. More information in this link. LIFE Index-Air is another 1.37 M€ project approved within the Environment and Resource Efficiency priority area of the LIFE Program. The main objective is to incorporate a database of outdoor and indoor air quality and a package of models to develop an innovative and versatile policy tool that will establish a relation between population exposure to mixtures of PM compounds and emission sources. More information in this link.